Originally from the UK, Cheryl won a scholarship to study at the Royal Manchester College of Music at the age of 16, whilst also studying privately with John Williams in London. She went on to win two prestigious International Guitar Competitions at the age of 20, including the ‘Michele Pitaluga’ competition in Italy. Cheryl became widely acclaimed for her exquisite and delicate performances of Spanish music, including her performance of Sevilla on BBC’s ‘Masterclass’ series with Julian Bream and a Bach Fugue with Bream on French TV. These broadcasts are available to view on You Tube. 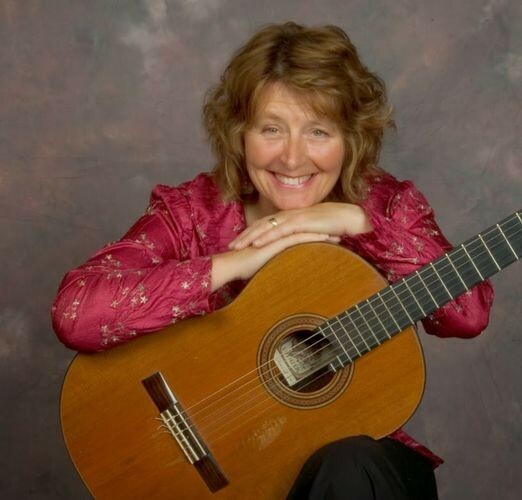 Cheryl toured as a soloist for many years, giving the premier performance of Wilfred Joseph’s 'Saratoga’ concerto for guitar, harp and harpsichord at the Qeen Elizabeth Hall in London. In 1997 Cheryl emigrated to NZ with her young family, releasing 3 CD’s – her solo album ‘Un Sueno en la Floresta’ is also available on iTunes. In 2014 she returned to the International stage giving a highly acclaimed tour of Canada and the UK.